Step aside, gamers. There’s a new kid in town. Super Baby Abigail is here to help kids make healthier dining choices with this fun new nutrition app! As Abigal leaps and bounds across Rainbow Road in the FoodLeap app, parents can connect to a resource that will show them how to feed their kids healthful foods when dining out. We asked Melissa Halas-Liang, creator of the Super Crew to give us some insights into this new app for kids. What is Food Leap, and why should parents and kids check it out? 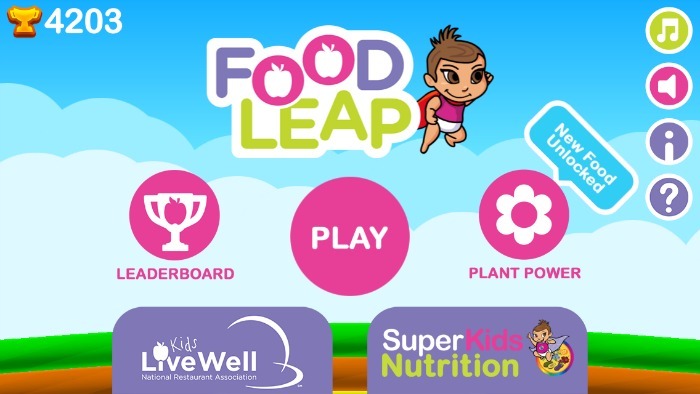 The Food Leap game, available on iPhone and iPad, follows the adventures of Super Baby Abigail, the face of SuperKidsNutrition.com and the Super Crew Kids’ site. In the game, Super Baby Abigail leaps and bounds through various levels of Rainbow Road, catching and collecting healthful, colorful foods while outsmarting hostile kitchenware (teacups, tongs, spoons). Each healthful food gives a dose of antioxidant power to boost Abigail’s speed, so she can leap over or fly through the obstacles, moving faster to the next level. As she completes each level of Rainbow Road, she unlocks fun and tasty facts about the foods that she’s captured. What’s the story behind the game? Our goal is to help raise awareness of the Kids LiveWell program and the Kids LiveWell free app, which directs parents to healthy food choices for children when dining out. You have to reach consumers where they are – and everyone is on their cell phones today. And that’s not just parents — even kids are texting and messaging away. Knowing this, we (the National Restaurant Association and SuperKids Nutrition) wanted to come up with a way to grab the attention of kids and parents alike. So an app seemed natural to bridge the gap between parents and kids. The Super Crew characters, specifically Super Baby Abigail, were already parent-approved and focus-group tested with kids. It made sense to use the Super Crew cartoon characters because they’re fun and already featured in school curricula throughout the country. Super Baby Abigail was the perfect fit because she’s the character who gets different powers from every healthful, colorful food: blueberries make her super smart; carrots let her see around corners … you get the idea. From there, the concept of the game evolved. Super Baby Abigail naturally would try to consume as many colorful foods as possible to increase her powers, so she was the best fit for the game. How did the game evolve? In other words, what was the inspiration for the game? 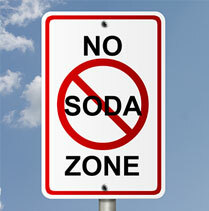 As a dietitian, I’m always looking for ways for people — kids, especially — to eat better. So many kids are on smartphones today, playing educational or just game-based apps. Even schools are using technology and games to get kids to learn. It’s because we live in an age where kids really relate to technology. Technology is an effective way to bridge the gap between parents and kids, to educate them while entertaining them. Games and cartoon characters capture kids’ attention, so FoodLeap created an opportunity to introduce kids to healthful foods in an engaging way. 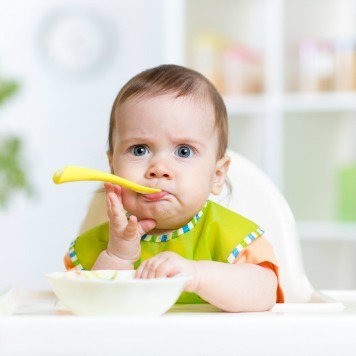 FoodLeap brings attention to the Kids LiveWell program. It also creates an opportunity for parents to talk to their kids about nutrition, share their favorite foods, and read the food facts together — all while having fun playing the game! FoodLeap links to the Kids LiveWell restaurant locator app so parents can find restaurants that participate in the National Restaurant Association’s Kids LiveWell program. Participating restaurants are committed to serving healthful kids’ meals that focus on increasing consumption of fruits and vegetables, lean protein, whole grains, and low-fat dairy. When dining out, parents can help kids discover the nutritious foods featured in the game. 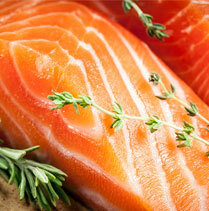 Our goal is to bring attention to boosting more healthy foods at home and especially when dining out! To learn more about the Super Crew, see the Super Crew coloring sheets, fun activities, books, and Super Crew site. The Super Crew are also featured in the Healthy Kids Today, Prevent Cancer Tomorrow campaign. Learn more at https://www.aicr.org/can-prevent/healthy-kids/.